Originally published in 1963. 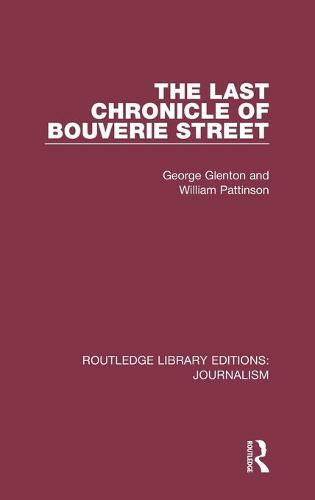 This book tells the story of the closure of the News Chronicle and its London evening companion The Star as seen by two journalists on the News Chronicle. They describe the Daily News tradition, record some of its finest hours and write about some of the greatest journalists who served their employers loyally. They endeavour to unravel what went on in Bouverie Street immediately before, at the moment of the crash and afterwards. The merger of these two prominent organs of public opinion with the Daily Mail and Evening News made splash headlines and was widely discussed in the press, on television and radio. Faithful readers were dismayed, politicians were alarmed, and the staff of the newspapers were indignant. For 114 years the Daily News and its modern successor the News Chronicle had weathered financial storms and overcome gales of prejudice and political opinion to become one of the most respected morning papers. The Star had, since 1888, fought the cause of the underdog and earned the affection and gratitude of many Londoners. This book highlights the feelings of men and women who were proud to work for their paper but did not know till almost the very last that they were fighting a losing battle, and how and why some of them kept the secret.